But it doesn't have a window. I have been burned by getting some of the off brand cases because they fit the need, only to find that the cases are crap and full of cheep crap. Any suggestions would be stupendous! 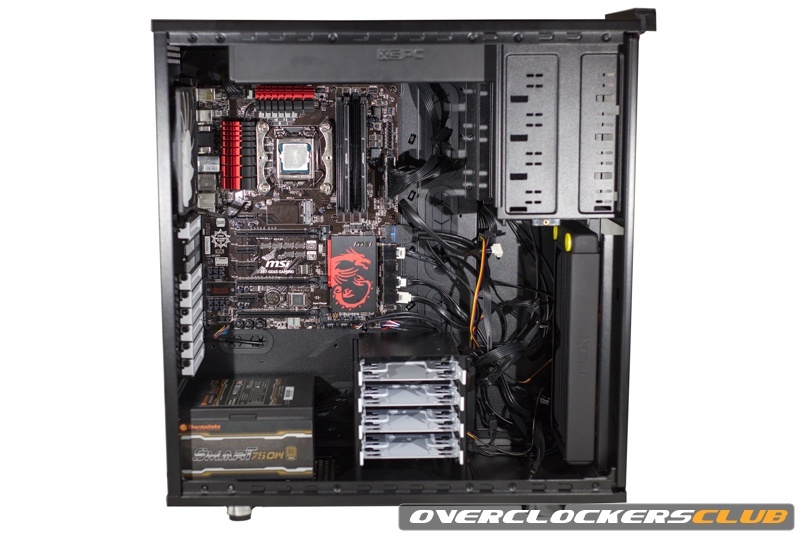 you should look at the Fractal Design XL for watercooling setup. it has a decent amount of space for the price. How is NZXT as a brand? I am use to high quality stuff from Cooler Master or other various brands. I had an experience with a NZXT case and it was very poorly made. my two experiences with NZXT have been good. One was the Source 530 which is a mid tower and the other I can't remeber (it was a long time ago). Must have gotten a bad apple on your previous NZXT case. My two experiences with them were great, even though the styling was kind of radical at the time. The Source 810 gets generally rave reviews for a steel/plastic case. that NZXT 810 is nice looking case. A little pricey, but sometimes you have to pay a bit to get a lot. I have no issues with NZXT. CM , Corsair. http://www.newegg.com/Product/Product.aspx?Item=N82E16811815011 just my two cents they make different side panels for this case. I did a build for a friend and he loves it super big. other then this would grab a coolmaster for sure I have the hafxm and love it so far. Great find with the window.... Hmm. decision decision..
Back to NZXT. I've got two of their inexpensive mid-towers (the Source 210) for my FTP / Vent server and for one of the HTPC machines at home. I caught them on sale for $29.00 + free shipping and probably the best $29 bucks I've ever spent on cases. Even their inexpensive mid-towers are pretty well made. My previous two NZXT cases were from their upper range cases and they were awesome.